Thiruchendur Murugan Temple is located on the shore of Bay of Bengal in the south, which is 35 km from Tirunelveli. 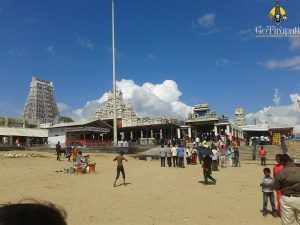 This is the only shrine of Lord Murugan, which is located on the sea shore. Usually all His temples will be on Hill Tops. As per the Legend, Lord Murugan, Commander-In-Chief of Devas encamped here at Thiruchendur. 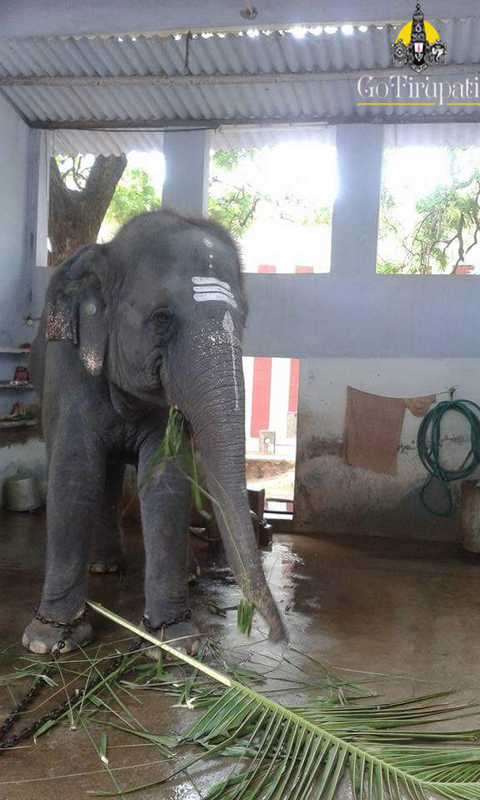 Murugan installed Siva Linga to offers prayers, for which Mayan, the architect for Devas constructed the temple. From here, He sent the message to the demon Surapadma at Veera Mahendrapuri thru Veerabahu Devar for the battle. Lord Singaravelavar (Murugan) recieved the divine Lance (Vel) weapon from His mother at Sikkal to beat Surapadma. The sand on the shore at Thiruchendur completely turned Red with the bloodshed due to battle. Thus this place referred as ‘Senthur’ which mean ‘Red region’. After winning the battle against Surapadma, Lord offered prayers to Lord Siva at the Mayan built temple. The victory against the demon is still celebrated here as Skanda Shasti. 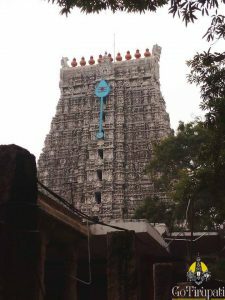 Aadhi Sankaracharya visited this temple praised Lord Murugan with a great stotra. Murugan offered Darshan and blessed Aadhi Sankaracharya here. 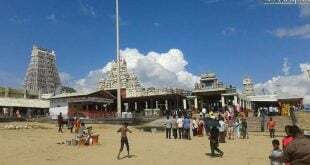 As a mark of respect to the war zone where Lord Camped himself, Honorary prefix ‘Thiru’ was added and popular by Thiruchendur. This temple was renovated by Pandya Kings and the Chera Kings. 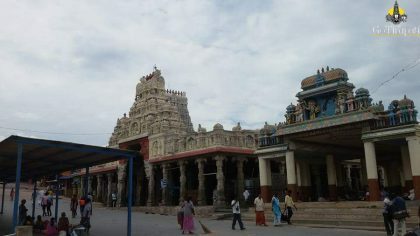 The temple was fully built on 1941 after which Kumbabhishekam was performed. 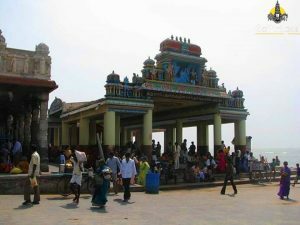 How to reach Thiruchendur Murugan Temple ? Temple is 40 km from Thutthukoodi. 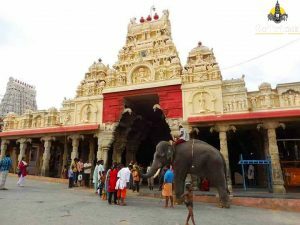 Nearest airport is at Tutticorn, which is 39 km from the temple. 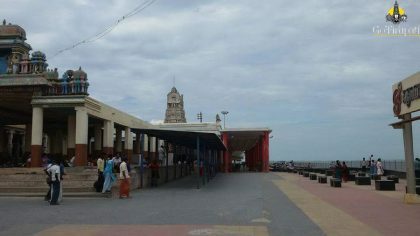 Thiruchendur is well connected and is reachable by Bus and Train. 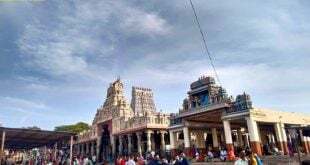 You need to book in advance for booking accommodation in tiruchendur please contact 9393939150. You need to book in advance for booking accommodation in tiruchendur please contact 9393939150 .